… is when the first modern, armageddon-style atrocity officially ended, 100 years ago this week. Using the visual record of the sounds of the guns falling silent at the appointed time, sound engineers working with Britain’s Imperial War Museum recreated what that moment would’ve sounded like. How that graphic record of the sounds of artillery fire was made is itself an interesting read. If you don’t know what “sound ranging” is or how it was used to locate and destroy those guns, the IWF has a great explainer. the banal meat grinder strategy of places like Verdun (~300,000 dead, ~400,000 more injured over 10 months) and the Somme (over a million combined casualties among the British, French and German armies in less than 5 months). All told, the pointless fighting on Armistice Day itself resulted in nearly 11,000 total casualties, including ~6,600 lives lost on all sides. Those dead included Henry Gunther, America’s last KIA of World War 1: Gunther was killed by machine gun fire at 10:59 am, one minute before the armistice was to take effect, as he attempted to storm a German roadblock. As more and more people buy more and more things online from Amazon, the companies making those things will start adopting their product designs and marketing to how Amazon wants them vs how the end customer does. Case in point, retail giant P&G’s new packaging design for Tide laundry detergent. Think the author of the above-linked article is overstating things? 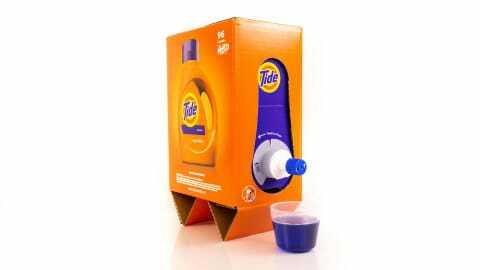 P&G’s own press release unabashedly announces that the Tide Eco-Box is the first product packaging designed to maximize ecommerce shipping appeal. You might recall the brouhaha back in 2016 between the FBI and Apple over gaining access to the locked iPhone 5C of Syed Rizwan Farook, the primary actor in the San Bernardino terrorist mass shooting attack. Apple never relented in its refusal to build software to do the job, so the FBI had to go hacker shopping to get it done (to the tune of ~$900K). Getting a corporation to help law enforcement gain access to user data is nothing new — judges have been signing search warrants to enable the government to invade the private spaces of its citizens since the founding of the republic. The only difference now is *what* can be obtained through that legal process. In this case out of New Hampshire, it is believed that the sounds of the fight that culminated into a double homicide may have been captured and preserved by the victim’s Amazon Alexa connected smart speaker. If this had been a simple audio recording device that had been passively recording the ambient noise in the home on that night, getting access to those recordings wouldn’t be an issue. 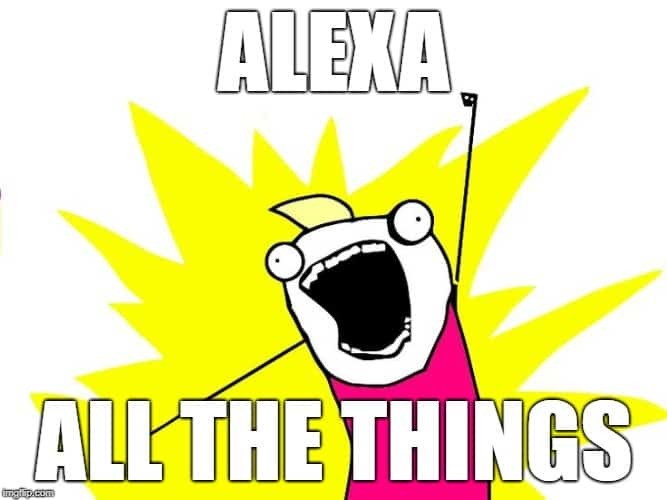 But, it’s Alexa, and making her talk could peel back the curtain on jhow Amazon’s prized AI assistant works, and just how much she is capturing in the background. So, this will be a giant legal food fight, painted in the media as Amazon fighting to protect user privacy against Big Brother Government. For the life of me, I can’t believe a smartphone with a foldable screen is a technological advance that consumers will adopt. As Google proved with their ill-fated Google Glass, just because something is a technological advance doesn’t mean it is a marketable product. Of course, I also remember remarking back in 2006 that I didn’t see the point of the new trend of cell phones with embedded digital cameras in them.